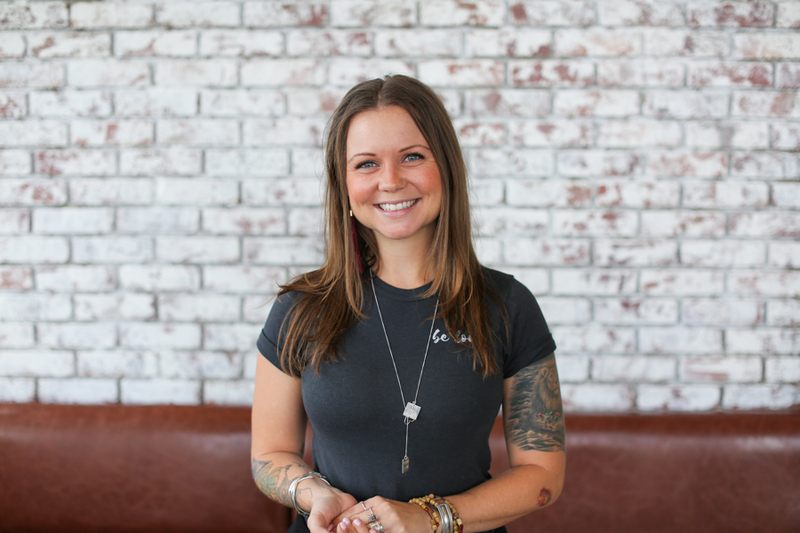 As you know I’m always on the lookout for amazing boss babes who are passionate about making a positive impact in our world; when I discovered that this super amazing brand that loves building “tribe” was spearheaded by Bobbi Paidel who’s absolutely all that…and more, I just knew you’d want to hear her story. 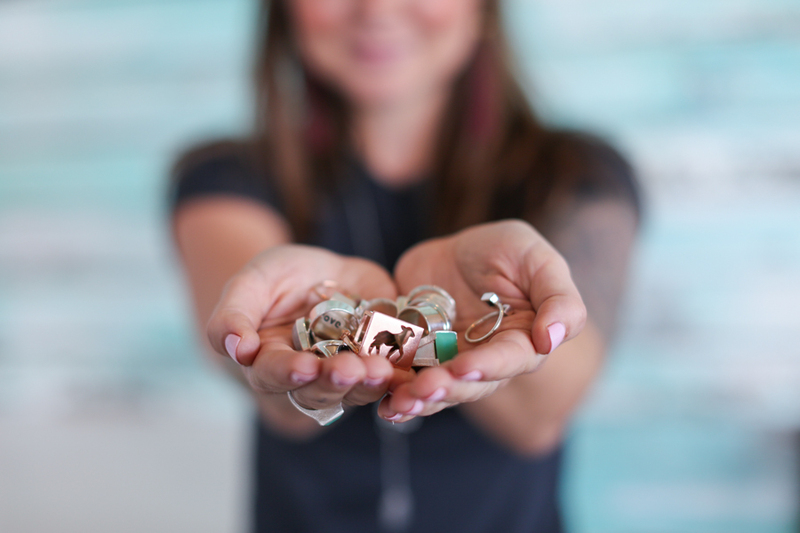 Bobbi’s the boss and lead creator behind the impactful brand Tribe of Lambs, an ethical jewelry and apparel brand. 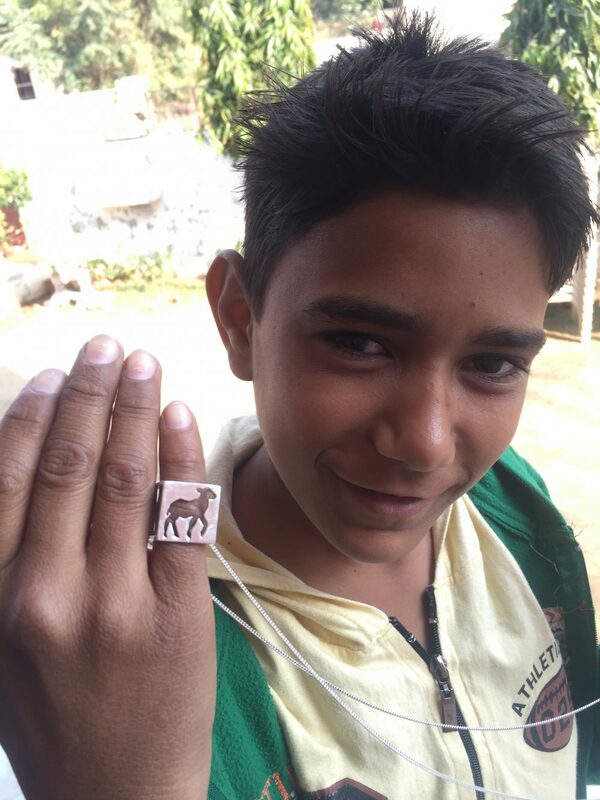 Tribe of Lamb’s pieces are all developed in India, actually in the very communities where the proceeds go back and benefit. Bobbi and her story are such great reminders of the fact that force is not the way to reaching our goals. Let me be clear, work ethic is a part of bringing about change and reaching our goals, but it shouldn’t come at the cost of our health and sanity. Bobbi’s story is so fluid, though still full of the rigors of reality. 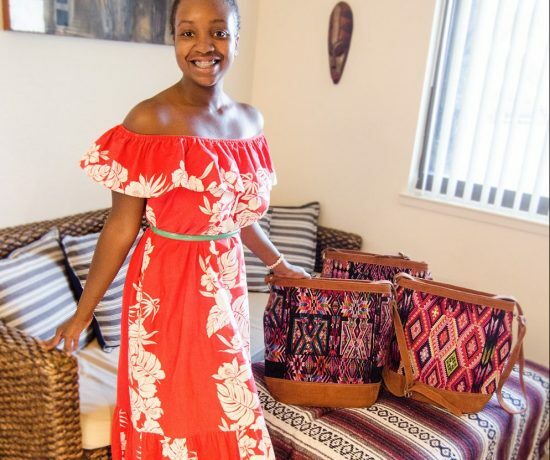 She in no way sugarcoats how difficult it is to sustain an ethical business, but she also emphasizes the fact that passionate soulful work is way more satisfying than succumbing to the grind we are often told is the path to success. I’m so happy to share Bobbi Paidel’s story with you today and she’s also been kind enough to gift #AGlobalTribeOfWomen with a 15% discount off anything in the Tribe of Lambs shop. Simply use the code: ANJELICA15 at checkout. There is so much gorgeous “tribe” gear you’re bound to fall in love with something! Each item also benefits Tribe of Lambs’ multiple Passion Projects. Here’s my interview with Bobbi Paidel. AM: Please introduce yourself and share a bit about your background growing up. Did you come from an entrepreneurial or mission-focused family? 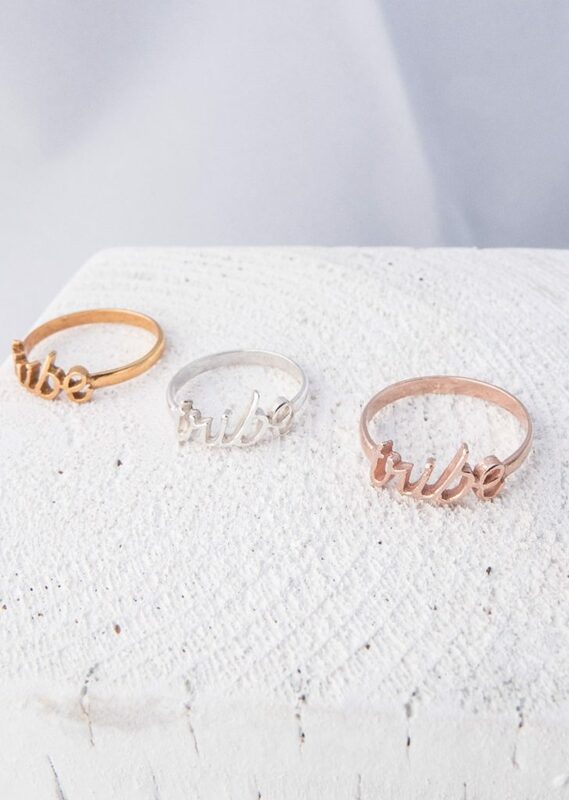 BP: I am the Founder & Creative Director of Tribe of Lambs, a socially minded jewelry brand working for the empowerment of HIV+ Children in India. I grew up in a small town in rural Alberta, a Canadian province often referred to as the “Texas of the North”. I learned the value of hard work from my family, however, my entrepreneurial spirit, sense of social responsibility & longing for adventure & freedom came from within. In my 31 years I’ve had many jobs, worn many hats, lived many places & met many people. It’s all these experiences which have enabled me to be where I am right now, building the Tribe from the ground up and allowing us to be totally ok with the serial ups & downs of growing a social business. AM: Before establishing Tribe of Lambs how would you have defined success? BP: I would have defined success as working freelance in a creative field, earning over 100K a year & finding happiness. I still think that could be a version of success, but the whole perception has shifted for me since beginning Tribe of Lambs & the work that we do in India. Of course career satisfaction, financial freedom & total happiness are up there on the priority list, but I won’t look at my life and say because I don’t have X, Y & Z that I’m not a winner at the game. AM: Please share how you came to journeying to India for the first time. BP: I was living in Sydney, trying desperately to carry on my fashion styling career that I had worked so hard at building in Toronto, yet something wasn’t working for me. I was unsatisfied with life, searching for some inner truth & facing some ugly parts of myself. It was then that a friend who was living in India at the time suggested I go there if I really was searching. I thought “India?!”. It had never crossed my mind to travel there, I felt intimidated & totally scared. I had very limited money & very limited “backpacking” experience. But through the powers beyond I managed to line up a summer time gig in a tourist town in Northern India managing a clothing market. So I went. And it changed my life. I ended up quitting that job, moved to an Ashram to study Indian spiritual philosophies & meditation, and started volunteering. Far cry from the 100K a year fashion stylist I was scrambling to be. It was in these first 6 months in India that I allowed myself the space & stillness to really dream of a life I couldn’t have imagined before. AM: Please describe the moment where you knew you had to do something. BP: Well I think anyone that has been to an impoverished country, on any scale, can speak about the impact that is made when you see poverty first hand. 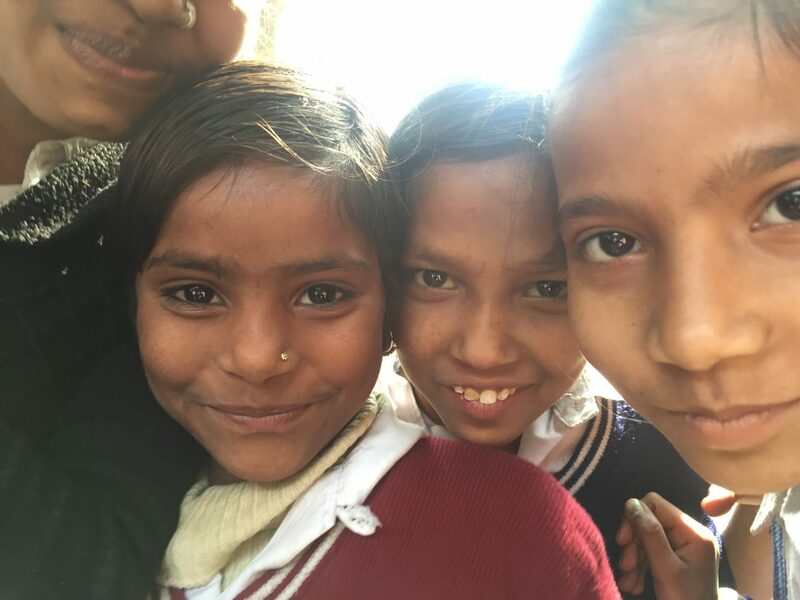 For me, it was especially difficult to see the amount of children in India completely immersed in the seemingly hopeless cycle of poverty & pain. There was no big “Ah ha!” moment, but just a deep desire to use my limited experience & endless opportunities (as a Canadian) to try to make some kind of positive impact for these children. From there the bubbles starting coming as I was already meeting with some local artisans, talking ideas & creating personal knits, jewelry & bags. So it just sort of began at that. The ethos was there from the beginning – just do something good in this crazy world. Then the name came, the logo came, the crowdfunding campaign came and here we are almost 3 years later, totally encompassed with what it means to live & work compassionately. 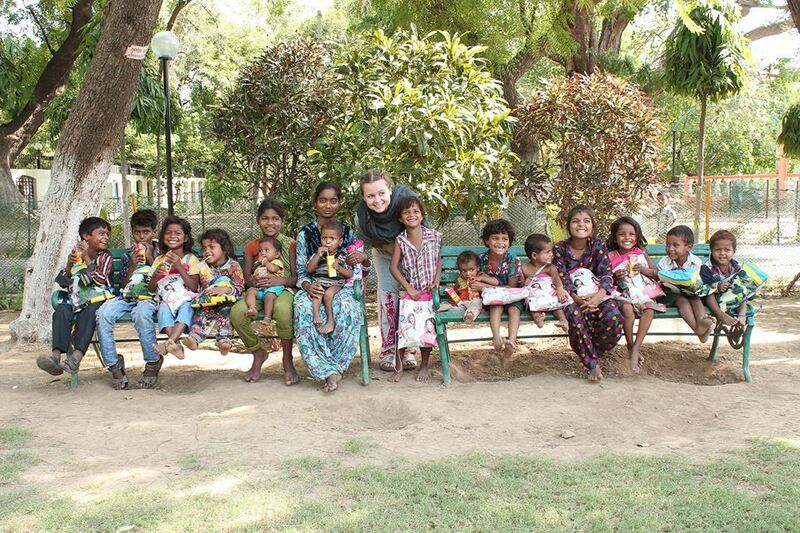 We now work exclusively with HIV+ children, focusing our production & projects in Rajasthan, India. AM: How did you decide on making jewelry, and ethical jewelry at that? BP: We started out as an ethical retailer of sorts, which proved to have far too many challenges for us. 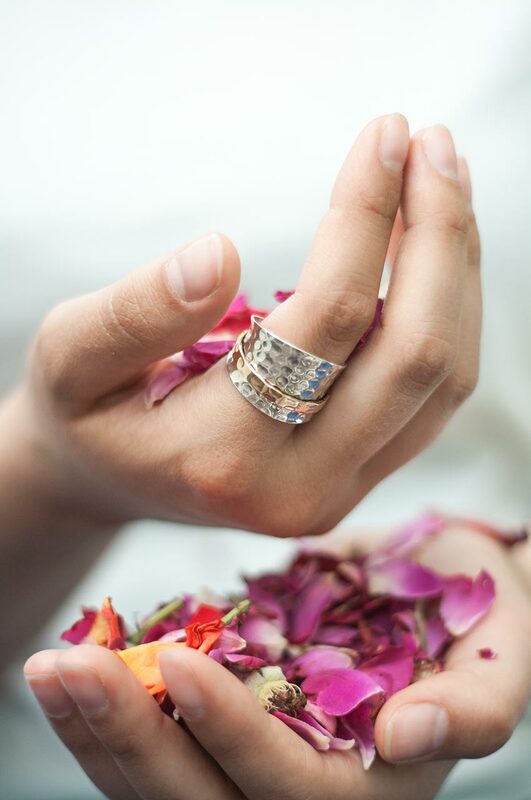 So little by little, we’ve streamlined to jewelry. It works for us. One of the biggest challenges on the production side, has been maintaining our ethics while maintaining our budgets as a self-funded start up. Starting a business is difficult. Starting a business in India is very difficult. As a company who works for children’s rights, in a country notorious for child labor, there is a lot of digging to be done. 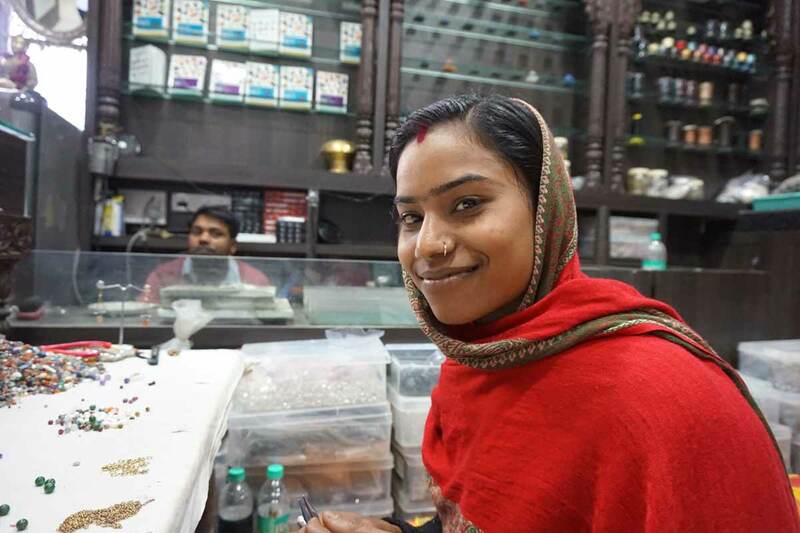 There’s no way we could work with a jeweler, when there was even the slightest chance that the workers were not being looked after & in align with fair trade standards. 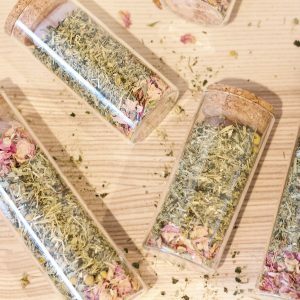 AM: What makes your products ethical? BP: Finding a small, fair trade certified jeweler, without the middleman fees & large minimum orders hadn’t worked out for us. So we’ve partnered with small family owned & run workshops, building relationships with smaller producers who value ethics as we do but also can’t afford the fair trade price tag. I’m not a trained jewelry designer, just a girl with an eye so to speak, so partnering with the smaller producers has allowed for collaboration of skill, ideas & aesthetic. It’s a total east meets west vibe. All our products are so carefully handcrafted, and it’s amazing to see that our products fund projects in the same communities they’re produced in. I’ve got my sights set high on our 5 year plan of creating our own jewelry cooperative, training & employing HIV+ & marginalized men & women, achieving fair trade certification & becoming totally sustainably environmentally with our supply chain & manufacturing processes. AM: Please share what a typical day is like for you. BP: This is one of the best parts about Tribe of Lambs, I get to have the best of both worlds. I love my life & work in India, as well as my life & work in Canada. 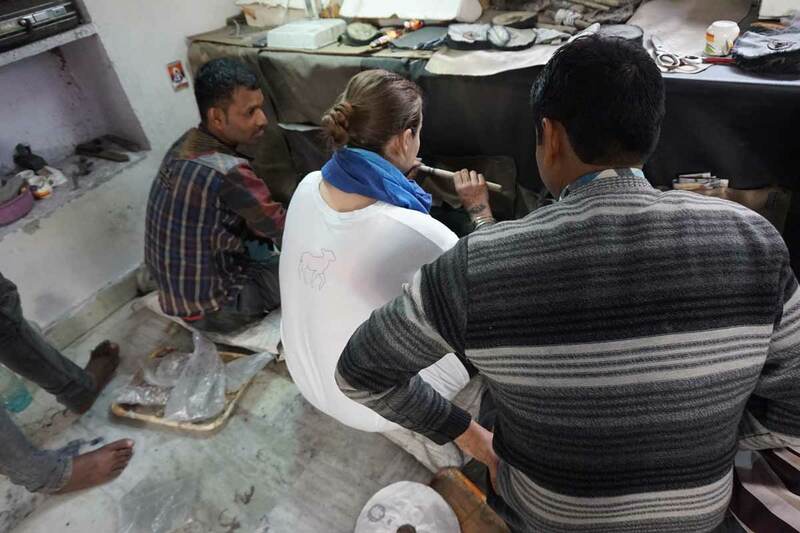 The first 4-5 months of the year are spent in India, working along side our producers, developing samples, getting production into place & doing workshop visits. We are regularly visiting our beneficiaries at Rays Home for HIV+ Children, meeting with the directors – hashing out our next big projects & sharing big dreams with each other. 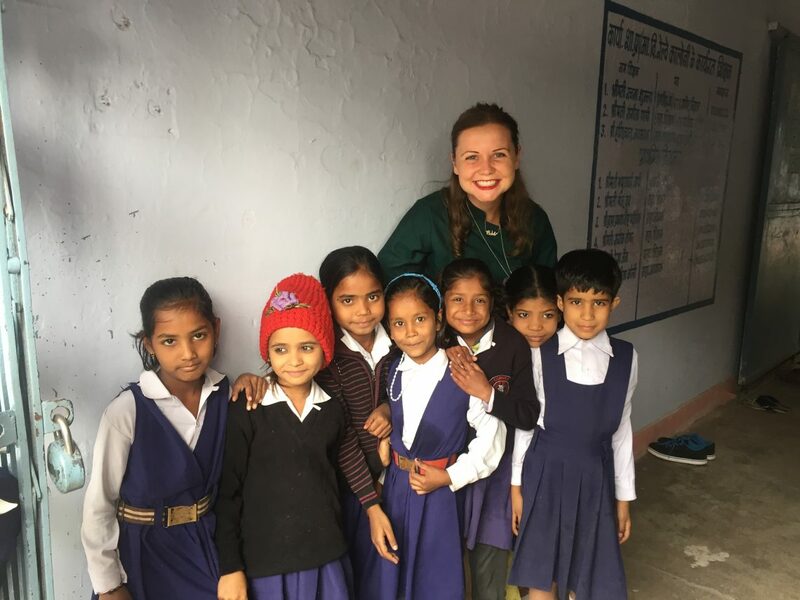 We also get to connect with the children & of course fulfill on our projects, while sharing the whole journey with our generous customers & contributors from across the world. In the summer & fall we are working to move the product through online sales, markets, tradeshows, popups & events. This is how we fund our projects & sustain ourselves as a business. 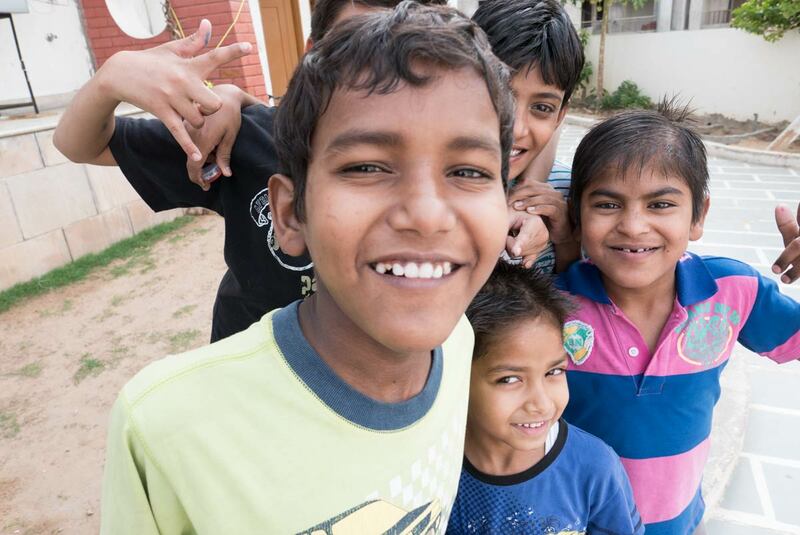 We are working to share our story & engage people about HIV+ Children in India & the hardships they face. And also, what it means to shop ethically. It’s a daily hustle, there are so many facets of this company, which keep it challenging, stimulating & every day a new little (or big) adventure. AM: How do you now define success? In life and in business. BP: Success is a mental state of mind. It’s a place to live in every day, rather than a place to strive for. This is not to diminish hard work or determination, however we are so often fixated on the goals & outcomes that we miss out on the sparkle of the journey. This goes to say for life & business…don’t reach for it, as if you’re incomplete without the trophies & dolla bills & accolades that eventually become meaningless anyways– just be it, through & through, wholeheartedly, expansively Great. If you can cultivate that sense of inner prosperity, then whatever arises, you’ll always be cool as a cucumber, ready to face the beautiful messes & joys that life will inevitably bring. AM: What book(s) are you currently reading and which do you recommend? BP: I’m currently reading “A Brief History of Everything” by Bill Bryson. I also just read “Big Magic – Living Creatively beyond Fear” by Elizabeth Gilbert – It’s so good! Definitely recommend for all the Global Tribe of Women out there. AM: How do you relax or implement self-care? BP: Meditation & Yoga are my salvation! I eat a mostly vegan diet, love being in the sunshine & good company always serves me well. On the contrary dance parties, dark chocolate, nice wine & full belly laugh attacks also offer up some magic for the soul. I just follow my intuition, listen to my body & the rest seems to take care of itself. BP: Where can we connect with you and Tribe of Lambs on the web? All photos courtesy of Bobbi Paidel. All rights reserved. What an amazing adventure and wise words from Bobbi. What parts of this interview spoke to you? Please share them in the comments below. I always reply.